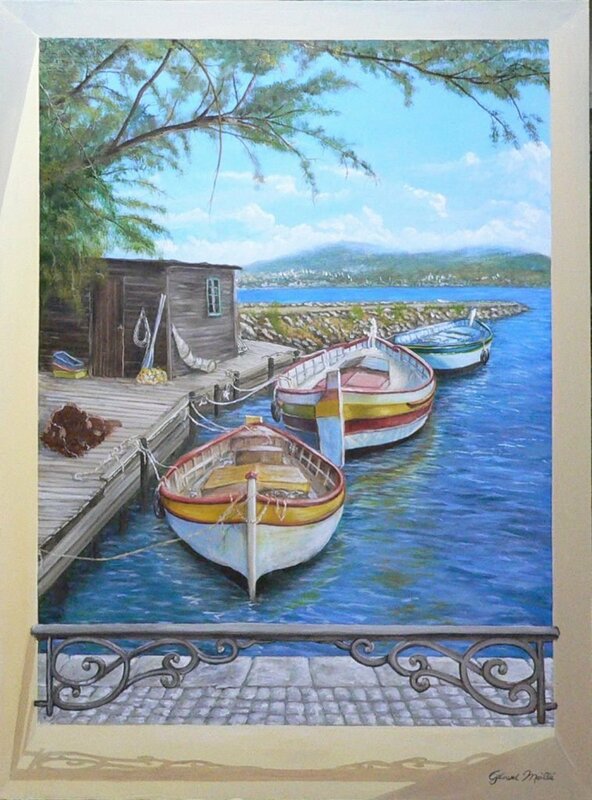 “My collection of seascape paintings evokes memories of my childhood in the Mediterranean South of France. The collection expresses my intimate experience and great love of this coastal region. Themes of the sea, fishing trips, wharves, and fishing boats pervade the collection. Are you a lover of the sea? Would you like your very own custom painting of a favourite seascape, or of a memory of a beautiful seascape that you experienced on a holiday or overseas trip? … a painting that would be meaningful and personal, and created just for you?